Mushahid goes to Washington: Did we get the message? After finding little interest in Pakistan’s position on Kashmir, Prime Minister Nawaz Sharif sent a group of special envoys on a diplomatic mission to Washington, DC. The timing seemed to be ideal. India was swirling in a mess of confusion and contradictions. Was Baramulla a terrorist attack or a case of ‘friendly fire’? ‘Surgical strikes’ were being declared and denied, and it was obvious that Indian officials were neither on the same page nor even in agreement on which script they were using. Islamabad, on the other hand, was taking things in stride. Yes, the Defence Minister was making unfortunate statements about nuclear war, but compared to what was being uttered on Indian TV this was hardly a footnote. While Indian talking heads were debating surgical strikes in Pakistani territory, Islamabad was carrying out a diplomatic surgical strike in Washington. It was a strategic stroke of brilliance. At least, that was the plan. What really happened though caught the PM’s emissaries completely off guard. Expecting to find an audience receptive to Pakistan’s position, or at least willing to listen, Senator Mushahid Hussain and his entourage found themselves facing an audience uninterested and unwilling to listen. The entire trip can be summed up in a 30 second clip from another diplomatic theatre. Expecting to find an opportunity for a good soundbite on Kashmir, our journalist was shut down before his question ever even finished. “I don’t want to go there…The security council has not been discussing it.” The journalist’s surprise was clear from his shocked response. How could the UN Security Council not be discussing Kashmir?!? 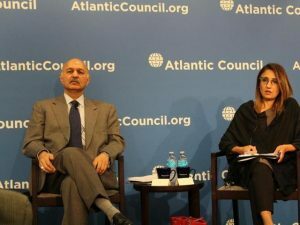 Meanwhile, in Washington, Pakistan’s envoys had arranged a busy schedule, the jewel of which was a public event at the prestigious Atlantic Council think tank which turned from a Pakistan policy press conference to a frustrating and humiliating slap when the microphone was turned over to the audience. This was not the way things were expected to go. Senator Mushahid did his best, but he once again found himself on the back foot, repeating talking points about national sacrifices and defending instead of advancing Pakistan’s narrative. If Nawaz Sharif was expecting to find sympathetic, or at least receptive ears, it was his envoys themselves who found themselves being lectured. The entire trip appears to have been completely ignored by the international media. Washington’s influential journalists seem to have taken no interest in any of the events. Even domestic media has given the results of the trip very little attention, and perhaps there is good reason. militancy, particularly cross-border attacks, was an issue that the delegation had to confront at almost each of more than a dozen meetings it attended in Washington. Everywhere that the diplomatic envoys went, they were met with questions and demands about Pakistan’s support for militancy. Rather than pointing to any success, Senator Mushahid Hussain was resigned to hoping that Pakistan’s chances will be better under the next American government. Senator Mushahid Hussain hoped that the new US administration would be different from the Obama administration, “which hopefully would have more balanced, strategic, sustained and consistent policy”. At the end of this high profile diplomatic mission, PM’s envoys left with Pakistan in no better position than when they arrived. Worse, this outcome seems to have come as a complete surprise. Our own media, largely stage managed to promote narratives rather than news, is largely responsible for this state of affairs. We mismanage our own expectations by constantly telling ourselves what we want to hear instead of what we need to hear. As a result, we are like the friend who never gets the message, who even when his friend says with exasperation, “I’m sorry, but it’s so late, shouldn’t you be going now”, replies with a smile, “it’s no problem, I’m not tired at all!” What will it take for us to understand the message that the entire world is trying to give? Despite our best efforts to elevate Kashmir to the center of the world’s attention, the world has clearly shown no interest. Not just the UN and the US, the Gulf states too have been silent and unwilling to take a strong stand in support of Pakistan’s position. The only statements that come from the world’s power centres show sympathy to India for suffering terrorist attacks and call on Pakistan to stop supporting militants. The question now is whether the powers that be are able to get the message. 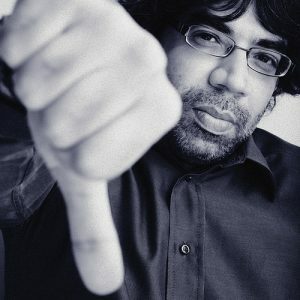 Come back Nadeem F Paracha! We need you! Nadeem F Paracha, or ‘NFP’ as he’s also known, has one of the sharpest wits in the country. For a long time I have looked forward to his writings and TV appearances because he has always had a way of cutting through the BS to show the absurdity of so much that was taken too seriously. He was never mean spirited, but always pointed out the ridiculousness of ‘serious’ topics, giving a necessary injection of humour and helping break up the tension. However, something in his satire has changed since the past few years, and the old NFP seems to be missing right when we need him most. Let me give you an example. This video produced by some Indians is exactly the sort of satire that I would have expected from NFP a few years ago. It’s not point scoring, it’s showing the absurdity of the situation we find ourselves in. 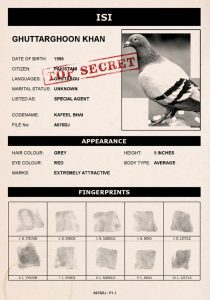 My god, man…so many posts about pigeons! Don’t get me wrong. 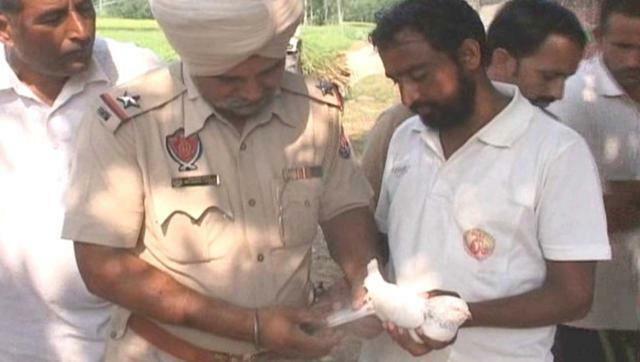 India’s bizarre paranoia about spying pigeons is funny, but you’ve done that joke to death, man! This is the problem, I think. The satire, it has become…well…lazy. 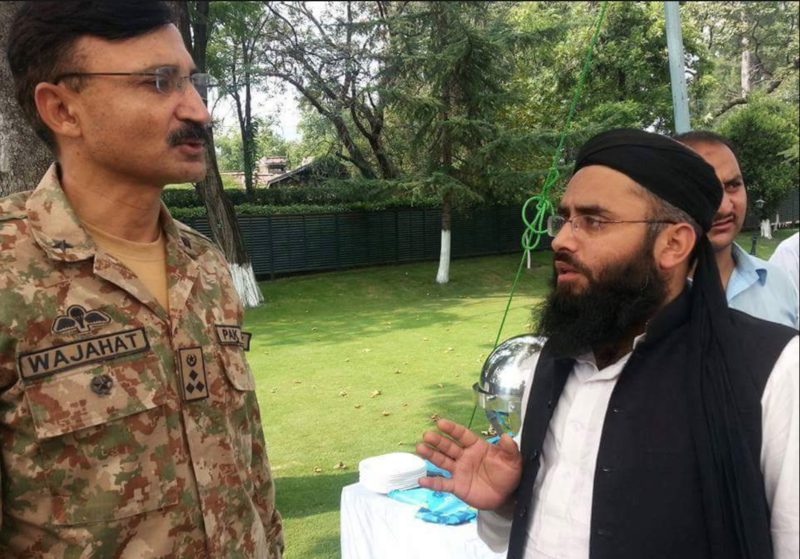 NFP, I understand that you love Gen Raheel. We ALL do. He is the best thing we’ve had in my lifetime. And Modi is an easy target. TOO easy, almost. But we need the old NFP back. The guy who wasn’t going after easy targets, and wasn’t worshiping holy cows. If blind patriotism was going to save this country, WE’D be the world’s biggest superpower. What our country needs is someone with wits sharp enough to cut through the fog of war and show us the way out of this mess. I know you love this country. We all do. And I know these are tense times. But look: the civilians are finally making their move. NFP, we need you to come back now. Kashmir uprising a distraction from local atrocities? The latest Kashmir uprising has united Pakistan unlike anything before. Whole nation has come together and is ready to sacrifice for the liberation of Kashmir from Indian oppression. 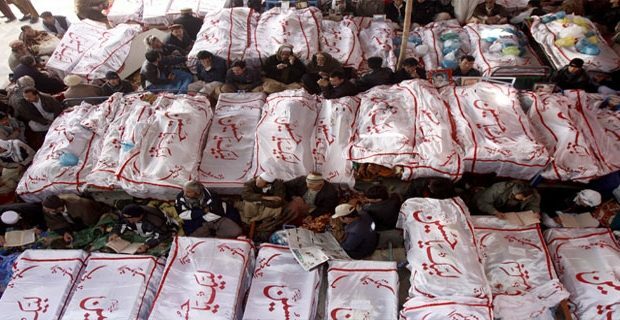 Even APS massacre was not able to keep the nation united like Indian abuses in Kashmir has. In his speech at the UN, PM Nawaz Sharif noted the abuses being faced by Kashmiri people and even offered to provide a dossier documenting these brutalities. Kashmir has been the top news story for months, and social media has become filled with Burhan Wannabees. But there is another place where Muslims are being abused and even killed in much larger numbers, so why nobody is rising up to defend them? Human Rights Watch has released a new report documenting that thousands of Pakistanis are being murdered by police in fake encounters. Such atrocities come as a surprise only because our media does not celebrate them like atrocities in Kashmir. However, if Burhan Wani being killed by Indian security forces makes him a martyr for Kashmir, how can we not give the same title to Pakistanis illegally killed by Pakistani security forces? Social media is filled with Burhan Wannabees, but no one is seen wearing a mask of Aftab Ahmed who was tortured to death by Pakistan Rangers. Kashmiri people are facing horrible abuses by Indian security forces, and we have declared that we will even gladly die in a nuclear war to free them, but we will do not even notice when our own fellow citizens are facing the same abuses and even worse? I am not saying that social media’s keyboard commandoes should be rallying behind a ‘Karachi Intifada’, but I am saying that we should stop to think why are so passionate about abuses somewhere else and so dispassionate about the same, and even worse abuses at home.